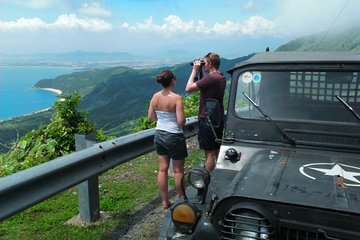 Follow in the footsteps of the US Army on this fascinating 4-hour tour of the Son Tra Peninsula from Da Nang. Wind your way along the steep roads and hairpin bends of Monkey Mountain as you tackle one of Vietnam’s most hair-raising drives, then journey along the Forgotten Road to visit a former US Army heliport. After soaking up the dramatic coastal views, pay a visit to the beautiful Linh Ung Pagoda before returning to Da Nang.